Ryerson University in Toronto has hosted a student radio station for almost 20 years. 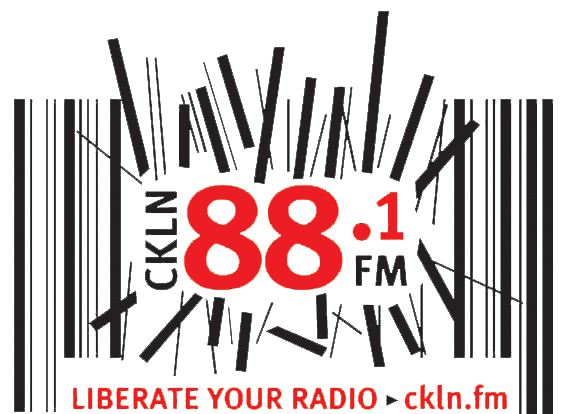 CKLN has been a source of indie music, radical discussion groups and student activism since the early 1980s. That is as it should be. Originally a jazz station known as CJRT, that station was sold to a group of jazz aficionados and it now operates as a quasi-public radio station. It has some advertising, and it solicits donations from the public. Although Ryerson and CKLN have had a tenuous relationship, student union fees of $10 per student go to support the station. Ryerson University has had no say in the governance of the station and the journalism school at Ryerson has a separate radio program that essentially bypasses CKLN. The same is true for the Department of Radio and Television Arts at Ryerson. So it came as a surprise to most people when the federal broadcast regulator, the CRTC, (Canadian Radio and Television Commission) suddenly removed the license of the station, telling them to cease broadcasting by February 12. This was unusual for a couple of reasons, but the motivations behind it could be instructive. First, the CRTC has rarely lifted a broadcast license. The last time, several years ago was over a morning zoo format of a Quebec City station. It was airing racist and sexist exchanges that many found offensive. So did the CRTC and so the station was taken off the air. CKLN clearly did not fall into that level of breach of service. Second, the stated reasons for shutting down CKLN was because the station had failed to keep accurate logs and records. This is important because music royalties went unpaid and artists have been complaining to the CRTC about this with increasing stridency. 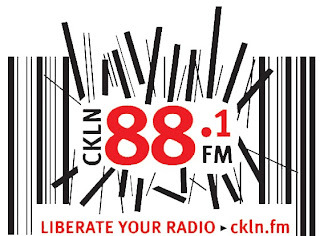 Third, internal station politics at CKLN had reached a point where the station appeared to be increasingly dysfunctional. Reports of internecine battles over politics and gender were reaching a boiling point and some fist fights were noted among staffers who were accusing one another of being insufficiently leftist or exceedingly sexist. Is it the role of the regulator to intervene and essentially micro-manage a campus radio station? Seems odd considering how all too often dysfunctional media management seems to prevail and thrive. 1. Is this CRTC intervention a sign of things to come from what has been a very laissez-faire regulator? Should other broadcasters be looking at their own management practices now? 2. Will one of the domestic "bigs" (Rogers, Bell, Sun Media, CBC) try to move in and scoop up the license? 3. Or will a non-Canadian entity (Al Jazeera, BBC, NPR) be interested to try its luck with a new brand of informational media and if so, will the free-market advocates at the Toronto stations object? Hi Jeffrey: I think you have 2 stations mixed up. CJRT (which has a "professional" license) did not become CKLN. For decades CJRT was operated by Ryerson (at arm's length) and financed by the provincial government. Think CKUA in the days before G Hinchcliffe gutted it. CJRT has gone through several kinds of ownership, including a turn by Izzy Asper. That's one reason the music format changed from eclectic to all-jazz. Not sure who owns it now. CKLN was created after lobbying by Ryerson students, mostly from the RTA and Journalism schools. It has a license for low-power transmission, like many other community and college stations. When CKLN began, the staff was mostly Ryerson students. Over time that changed, and the station followed the customary "community" tradition. Eventually the station became its own creature, and the students set up alternative systems of their own. The upshot is, there is no license for a bigger broadcaster to buy. One day CJRT might be for sale again, but that's a different story.